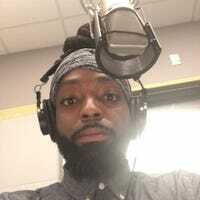 Alexander Hardy is a wordsmith, mental health advocate, dancer, lupus survivor, and co-host of The Extraordinary Negroes podcast. Alexander does not believe in snow or Delaware. I can now only tolerate them when blended in a juicer with other less terrible things. They’ve found my email inbox. Good times. The way I just howled on this train. That works, too. super hella ultra muy lazy. Right. Which conversation are you starting, boo-boo? This would require a mass suspension of disbelief, as slaves, athletes and activists are all we're good for on screen, it would appear. he took that cap right off. "But why is drunk driving his fight?" - best line.